This expansion was spotted by Cody Toombs last week, when he tore down the latest version of the Android Pay app. Inside were strings related to the Rakuten-branded Edy card and the Osaifu-Keitai wallet system. Google is hoping to expand even more. Its blog post on The Keyword says that next year more eMoney providers and banks will cooperate to open the service up in more locations and for more retailers, including compatibility with the Sony FeliCa standard. New users in Japan who create a new Rakuten Edy card through the app will get a bonus credit of 400 yen (about tree fiddy in American dollars). 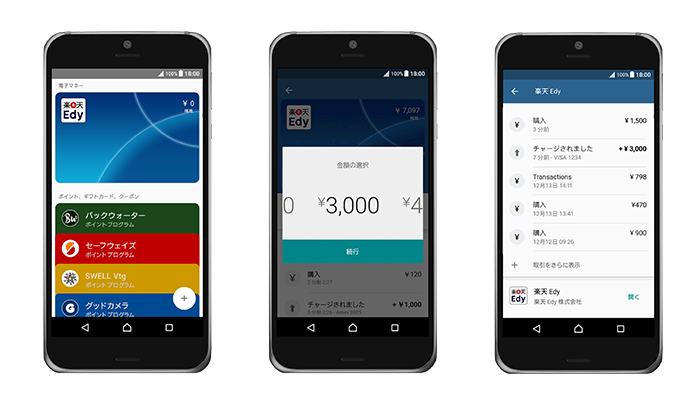 Despite expanding to Ireland last week, Android Pay's global penetration is still quite weak - Japan is only the third Asian location to get access, after Hong Kong and Singapore.